When: Saturday, September 18, 5 - 8 p.m.
Food, drinks, music and good times to be had. For more information, contact Bario-Neal at 215.454.2164. 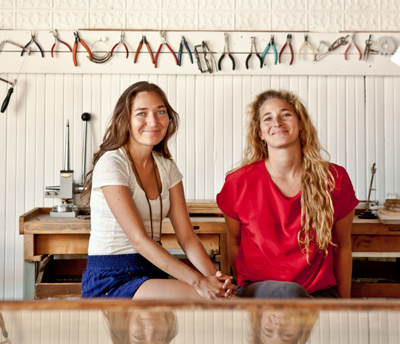 Founded by partners Anna Bario and Page Neal, Bario-Neal Jewelry uses reclaimed precious metals whenever possible, derived from recycled jewelry or industrial materials. All their stones are recycled or ethically-sourced—most of their diamonds come from Canada. That ideology is all the more powerful when paired with the exquisite simplicity of their work. From earnings to bracelets to wedding bands, all their jewelry projects a fresh, organic aesthetic. Moments of crisp creativity—a band’s subtle texture, carefully cast enamel, perfectly-played asymmetry—set their collection and custom work apart.